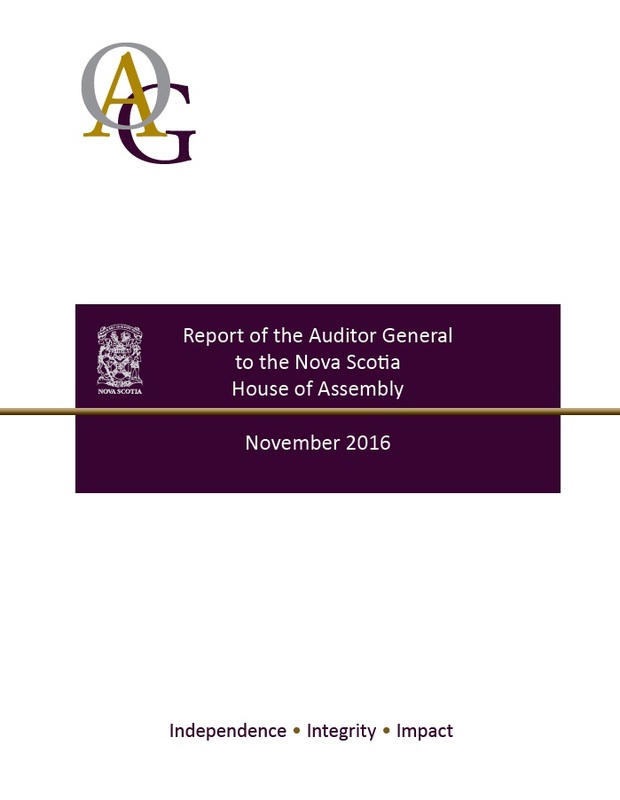 Auditor General Michael Pickup released his November 2016 report on four audits to the Nova Scotia Legislature. See below for topics and links. 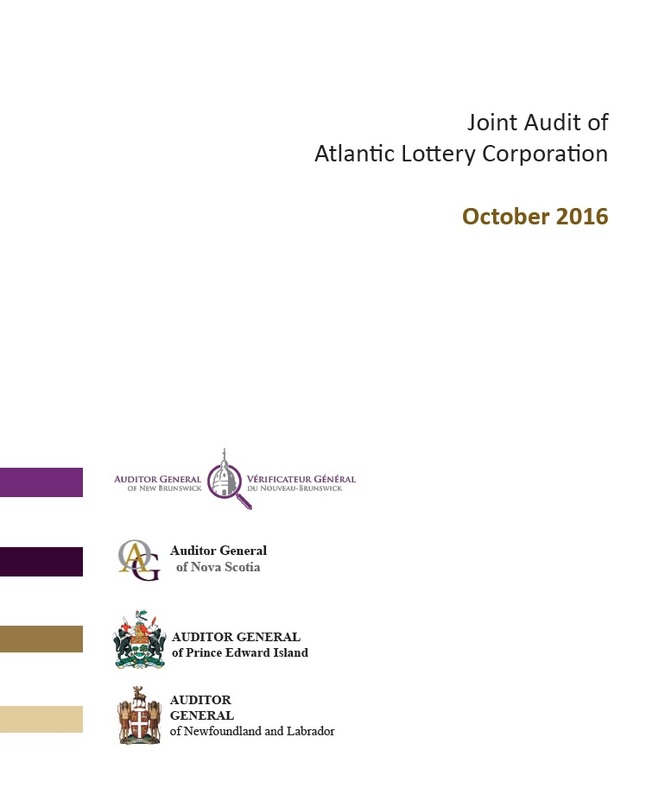 Nova Scotia Auditor General, Michael Pickup, released a joint audit report on Atlantic Lotto to the House of Assembly. The work was completed in conjunction with his counterparts in New Brunswick, Newfoundland and Labrador and Prince Edward Island. The report covers governance at ALC and four other non-governance areas: executive and employee compensation; travel, hospitality and board expenses, procurement and contract management. 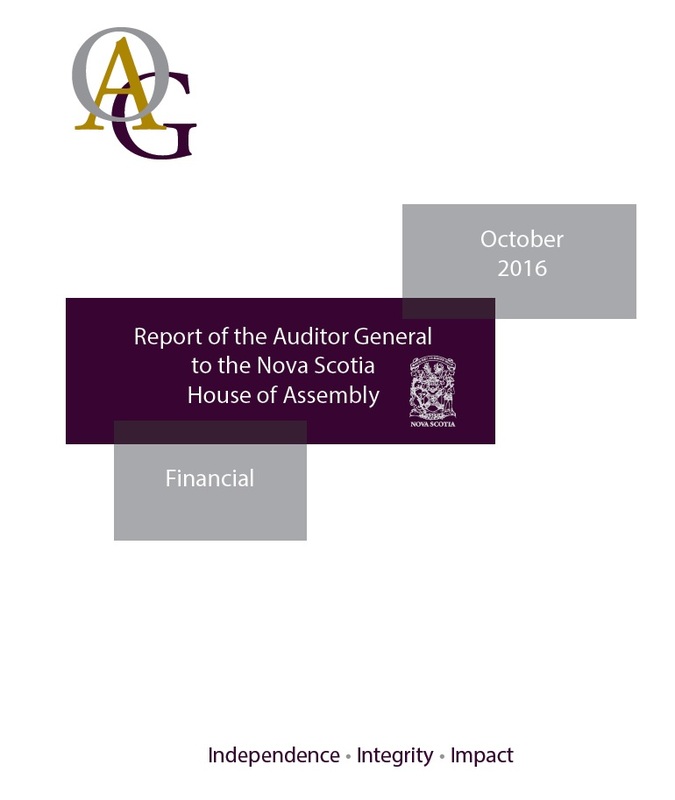 Nova Scotia Auditor General, Michael Pickup, released his October 2016 Financial Report to the House of Assembly. 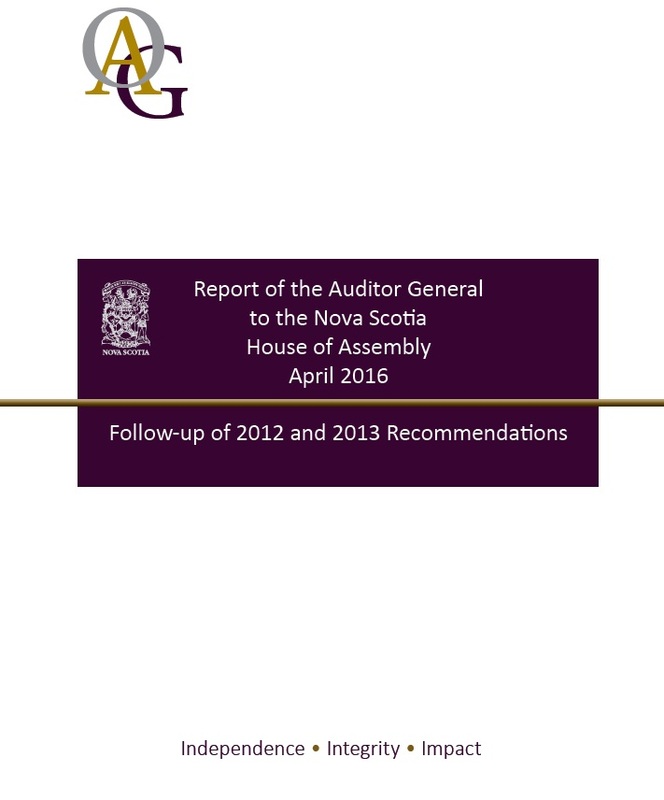 The report provides information on the audit of the March 31, 2016 financial statements of the government as well as audit results of the other organizations that are part of the government. In addition, the report includes some key financial information related to the most recent fiscal year and accumulated five year results.